Winning the "Review a Social DApp" Contest by State of the DApps, Oracle-D & Dapplovers! When I woke up this morning, I noticed that I had been mentioned in this "Winners Announcement Post" by @dapplovers. 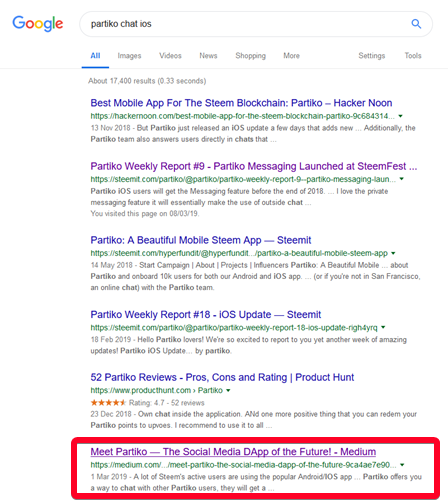 At first I thought they had perhaps just mentioned all participants of the "Review a Social DApp Task", but it turned out that my "Review of Partiko" was among the 5 winning entries! 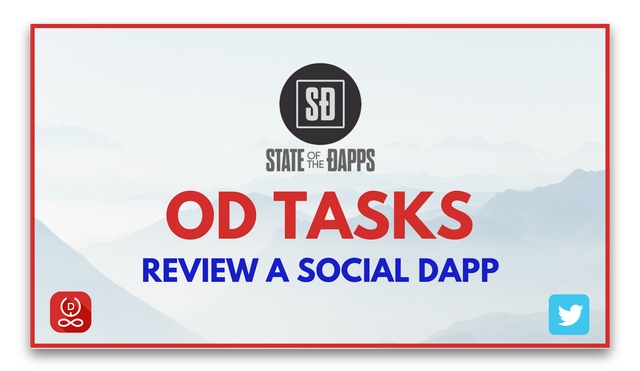 I was completely blown away by this, there were 100 participants and my entry had been chosen as one of the 5 best reviews of a social DApp on State of the DApps. I've been on Steem for over a year and this is by far my biggest achievement on this amazing platform. You can imagine how glad I am that I've joined the Oracle-D Discord a couple of months ago, I don't think I would have participated if I hadn't joined their Discord channel. When this task was first announced, I told myself that I was going to try and offer them my best work to date. Before I started writing my review of Partiko, I first meticulously studied all of Oracle-D's guidelines for this particular task. Then I watched Oracle-D's guidelines video, to make sure that my post would be up to their strict standards. Watching that video proved to be a great help, I learned certain techniques that I've now incorporated into my day-to-day workflow. Now I always make sure that I correctly tag all images that I use in my posts and I pay close attention to the keywords I use. I'm sure that this will have a positive impact on the visibility of my own Steem posts on Google. While I didn't need much help completing this task, I knew that I could always contact someone in the Oracle-D Discord if there were any issues. It's amazing to know that there's a whole community out there, ready to offer help when needed. In the comment section of my Partiko DApp Review, I saw that @cryptocurator had asked me a question about the chat function on the Partiko IOS app. When I was looking up information about that, I saw that my own article was on the first page of the Google search results. Isn't that just great? To be able to see the results so fast is just an amazing feeling. Okay, in this case it's my article on Medium that gets a prominent spot in the search results, but that doesn't matter too much. I think that Medium had slightly better SEO than Steemit, so it was smart of @Oracle-D and State of the Dapps to ask for Medium articles as well. The fact that this was such a positive experience overall makes me want to jump on the next task! The absolute best part of the prize I'm getting, is that I can now access internal/closed OD Tasks available on OD Portal. I mean, the large upvote is nice too, but having access to internal OD tasks will have a far greater impact on my continued presence on the Steem platform. If anyone has any doubts about participating with the open tasks that @oracle-D provides, I hope those doubts are now gone after having read this article. The opportunities that tasks like these provide are simply huge! I hope you, my readers, will also participate the next time Oracle-D launches another open task! A huge THANK YOU to @oracle-d, State of the DApps & @dapplovers for hosting this amazing contest! Great post @daan. @oracle-d presents a huge opportunity for the community to get involved in projects which will add value to businesses and projects that are onboarded by the Oracle-d founders. All in all Oracle-D is one of the best projects that will increase the demand for Steem in time. Reading your post was a timely reminder that following guidelines is a key to success and so your diligence and hard work has paid off in multiples! Well Done. Yes! Oracle-D is one of these projects on Steem that may very well have the biggest impact on the overall promotion of the Steem blockchain. Reading the guidelines is an absolute must, it's something I don't always remember to do myself. I'm glad that I did read them thoroughly this time, I sure won't forget to do so in the future! Thanks for the nice comment @cryptocurator! Congratulations on being in the top 5! I completely forgot to write for this one... the internal tasks are pretty interesting, but I haven't yet tried my hand at them yet! Your UA account score is currently 4.082 which ranks you at #3469 across all Steem accounts. Your rank has improved 4 places in the last three days (old rank 3473). In our last Algorithmic Curation Round, consisting of 233 contributions, your post is ranked at #30. You structured your attempt well by doing the homework first my friend. It's always the preparation for any task that determines the end result. Congratulations on the top 5 position in such exalted company. Congrats on the Win! It is very well deserved! Woot! Congratulations! @oracle-d is awesome. I keep saying I'm going to go up and check the tasks again and write something, but then something happens and I've got another hot paying client or a project to pursue. You're writing great stuff. Keep it up! Congratulations, a well deserved win on that review @daan!